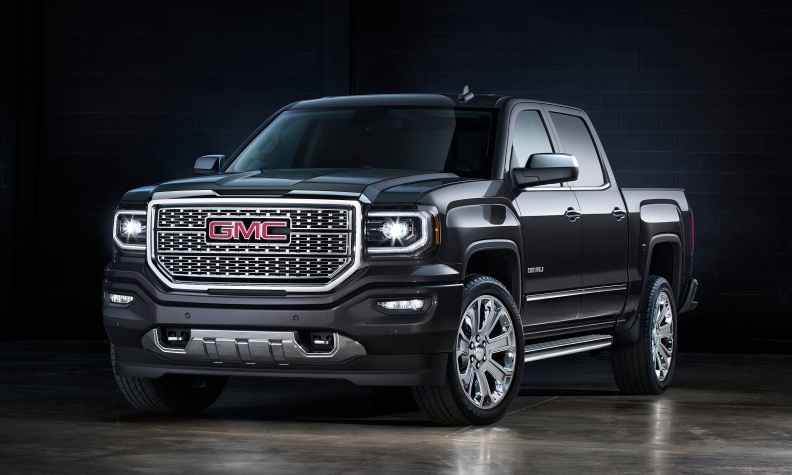 GMC's freshened Sierra pickup for 2016 features LED C-shaped daytime running lights and LED headlights, a new front fascia and grilles for each trim level. 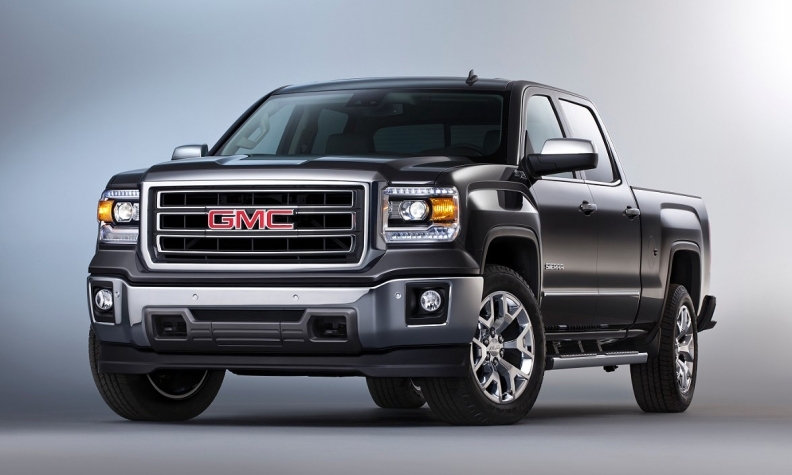 DETROIT -- GMC is refreshing its Sierra pickup for the 2016 model year with a redesigned front end in a bid to keep the sales momentum going for one of General Motors' most profitable vehicles. 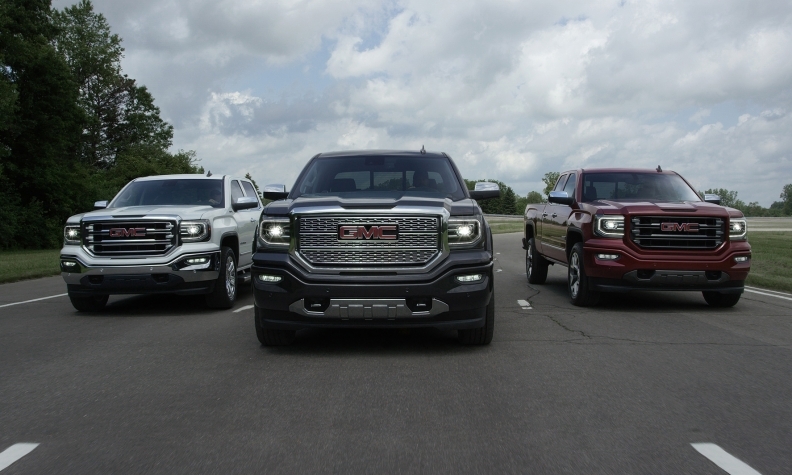 A video posted on GMC's YouTube site shows the 2016 truck equipped with C-shaped LED daytime running lights, new LED fog lamps and tail lamps, and new bumpers. Each trim level of the truck also will get its own grille design for 2016. A GMC spokesman said more information would be available about the '16 model closer to its on-sale date, sometime in the fourth quarter. The Sierra's sister vehicle, the Chevrolet Silverado, also is getting a refresh for 2016, GM said this week. Both trucks have been on a sales roll in the U.S. despite some gripes from some dealers and analysts about ho-hum styling when they were launched two years ago. U.S. sales of the Sierra jumped 8.2 percent through the first six months of the year. Silverado sales increased 15 percent. Overall, deliveries of large pickups have increased 4.7 percent across the industry this year through June. The 2016 Sierra goes on sale in the fourth quarter, GMC said today. GM's share of the U.S. large pickup market has increased to 37.2 percent this year from 34.5 percent through June 2014. The updates to GM's big pickups follow the launch of Ford Motor Co.'s redesigned F-150 pickup for 2015. And Nissan Motor Co.'s overhauled Titan pickup will go on sale later this year.